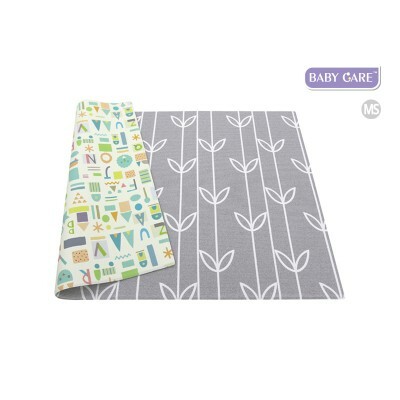 The BABY CARE Playmats are 12/13 mm thick & soft. 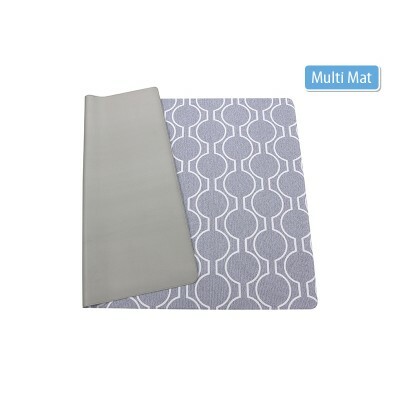 They provide an optimal playground by protecting children from hard impacts, isolating from cold/warm floor and reducing noise. 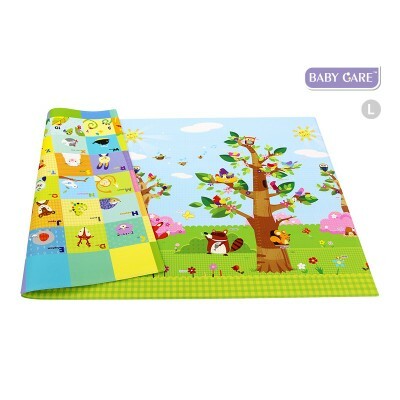 The Playmats are double-sided with many different patterns and designs to choose from. 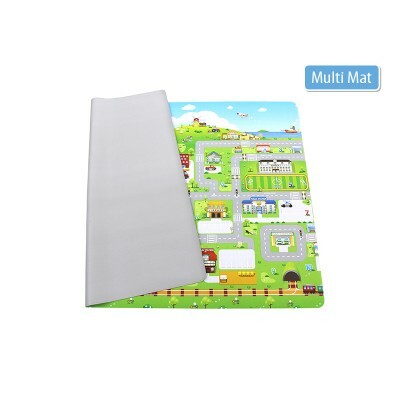 The Playmats can be used both - in- and outdoors. 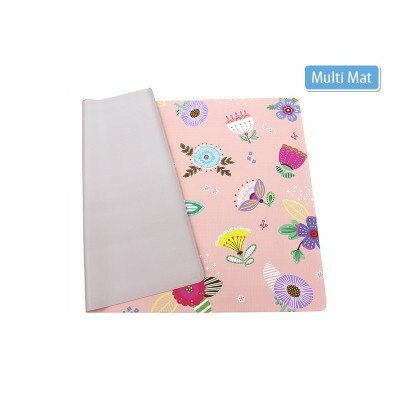 The anti-slip surface of the Playmats is made out of acrylic and urethan reducing the spread of bacteria and fungi to minimum. 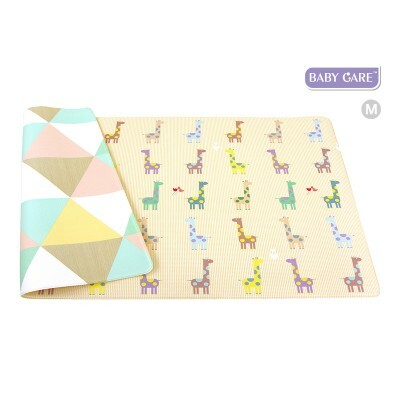 The inner PVC foam has been especially developed for babies and children to provide optimal cushioning. 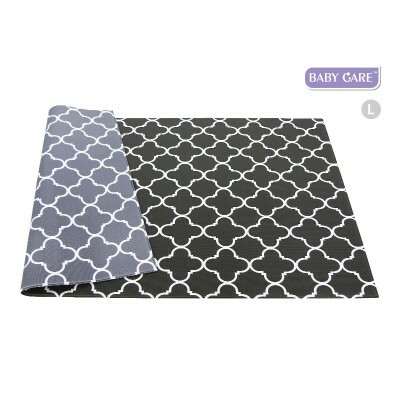 In addition the Playmats are easy to clean - just wipe with water, and can be used with floor heating. 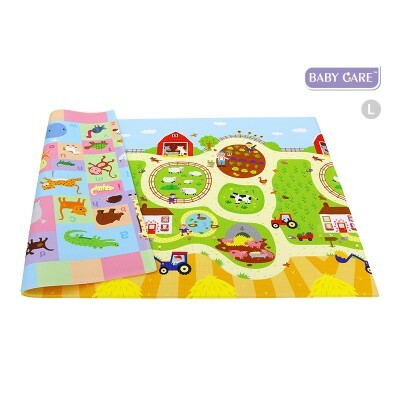 The BABY CARE Playmats have been tested and certified to assure 100% lack of harmful substances and match the European and US toy safety standards. 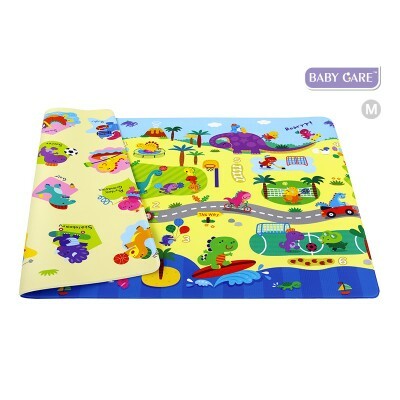 The BABY CARE Playmats come in 2 sizes (Large - 2,1m x 1,4m x 13mm and Medium - 1,85m x 1,25m x 12mm).